What is meditation as a condition? This is a trance state of rest and relaxation of the body while maintaining full awareness. It is also a cessation of the flow of thoughts and emotional stress. Since many people are in constant inner confrontation and dialogue with themselves, meditation is often called thought cessation. Meditation requires total relaxation — almost no gravity, only silence, calmness and stillness. In a world where speed and movement determine life, it’s not so easy to find a quiet place. But even under ideal conditions, there is no guarantee that we will be able to enter the state of meditation. Therefore, additional external impulses and practices are so often used. Freediving can be a catalyst that will silence the mind and thoughts, allow you to observe the processes and direct the consciousness into the depths of your mind. The fact is that at the moment of immersion on breath holding, the mind is fully aware of the serenity of the situation. The body now needs to spend a minimum of oxygen, make a minimum of movements and keep calm. Mind independently turns off all useless processes of its activity, which come as images and thoughts, and instead it turns on the energy-saving mode of the body. Heart rate goes down to 30-45 beats per minute, blood circulation is centralized (i.e. blood outflow occurs from the peripheral circuit to the central one in order to provide vital organs with oxygen). Meanwhile time slows down and minutes spent underwater seem like an eternity. All attention is directed inward, to yourself and your feelings. In fact, there comes a deep meditative state with full inner consciousness, concentration and control. It turns out that the psychological state of meditation is caused by real physical processes, which can be achieved when immersed in water, even for short periods of time and even with a minimum supply of oxygen. The unique invention “The Lobster Neck Weight” allows you not to be distracted by constant monitoring of body position under water during swimming or diving. Instead it helps you maintain relaxation and tranquility as well as the necessary level of meditation. 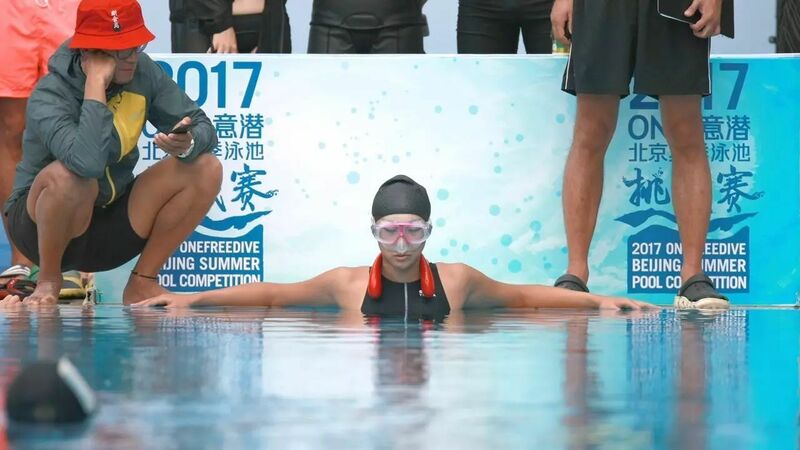 This special freediving weight system will be the key to progress, new records and impressive results.